This recipe collection contains ten all time favorite holiday recipes. Use these recipes during your favorite times of the year such as Thanksgiving or Christmas celebrations. 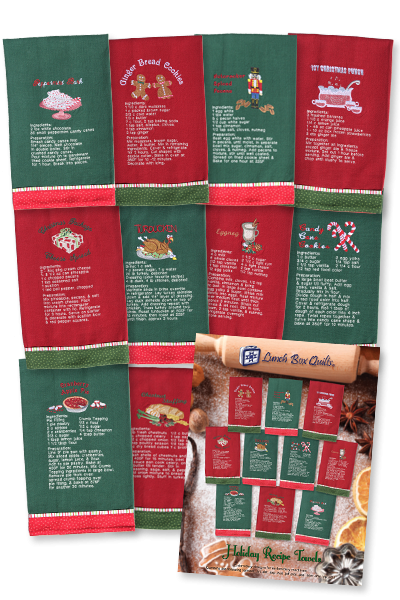 Twenty designs are included each one contains a favorite holiday recipe. Ten recipes are included with each design available as metric or imperial measurements. Instructions to add a coordinating fabric band are included.